My joy to see some sun and that the garden is looking springy for the first time this Spring. It still needs some loving care from the gardener, but in essence it is looking colourful and fun. There are areas where Mother Nature has used her own initiative and gathered a few seeds from last season and made a fabulous display! 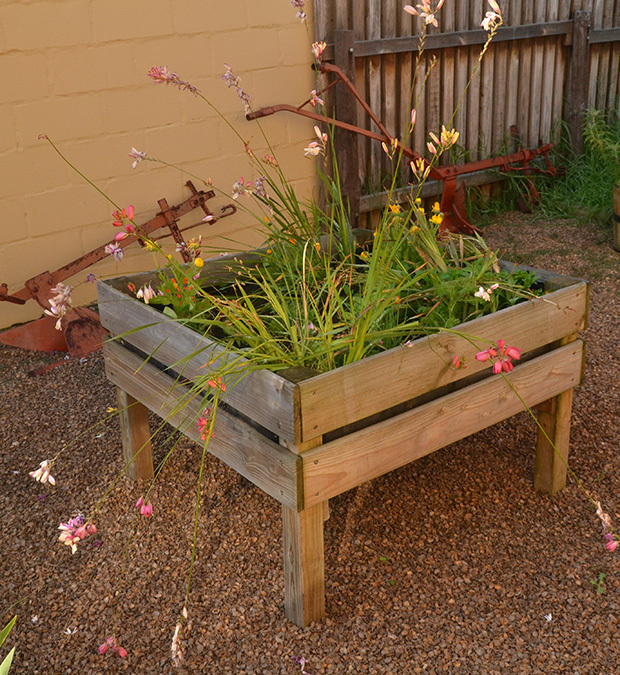 I spent less at the garden nursery these past months and used what I had – dividing and transplanting – leaving bulbs in the ground – and letting flowers self-seed! I have to admit I am more impressed with this type of gardening because it’s fun and costs nothing! Especially the Irises! They will eventually take over the back garden – how wonderful!! 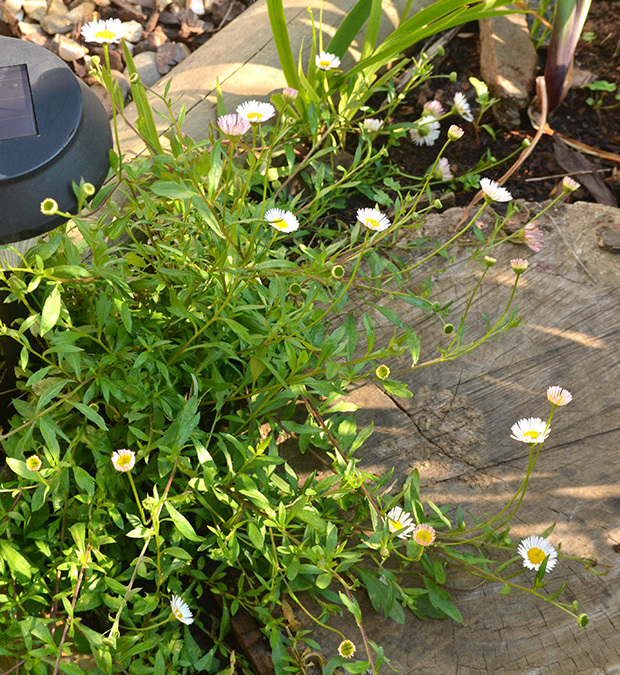 This Fleabane was a transplanted shoot – now already a small shrub! 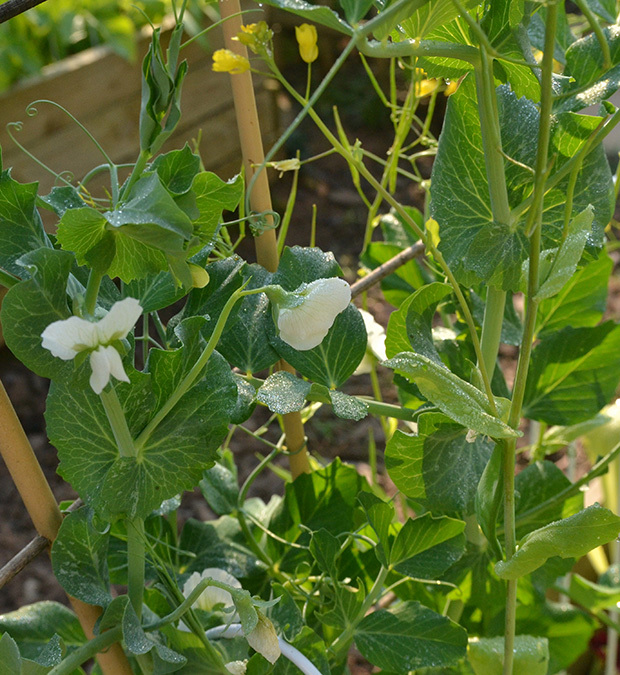 Sweet dew drenched peas – love the delicate flowers! 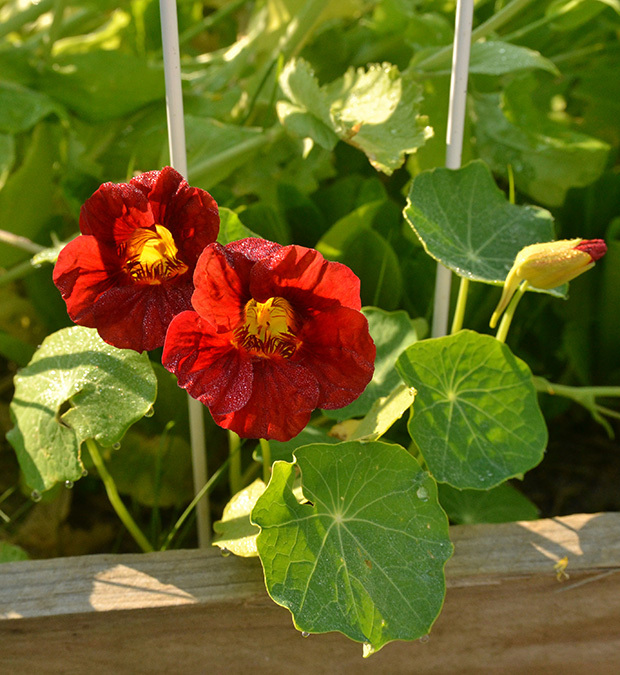 A great companion – Nasturtiums. I plan to have lots of them growing! Great re-seeders and a marvelous salad addition! 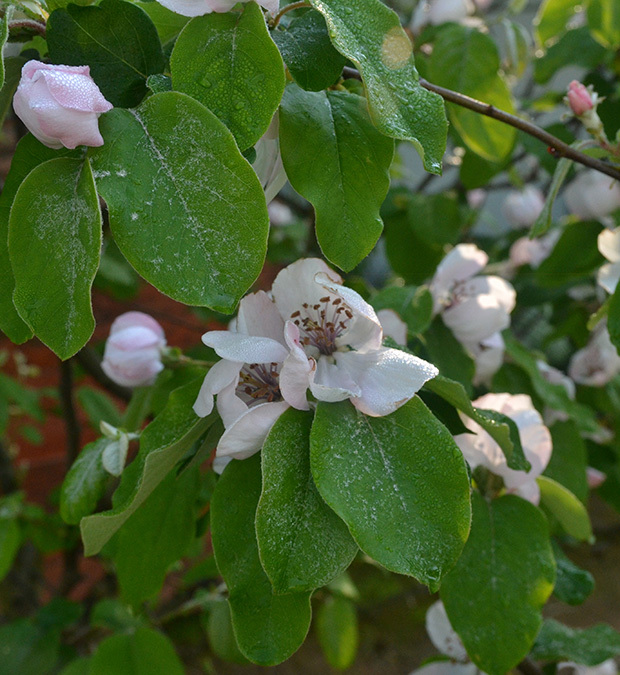 Gentle blossoms of the quince tree! 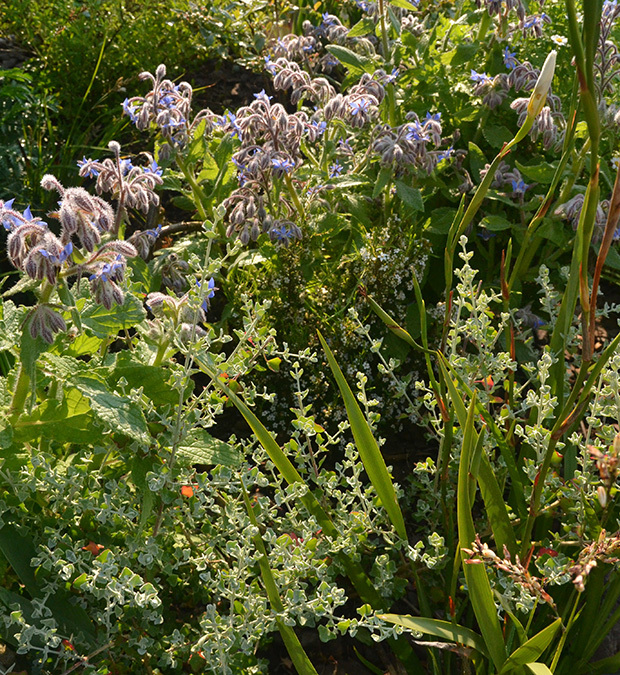 Borage, dietes, sage , feverfew and blueberry blossoms in my bee patch! 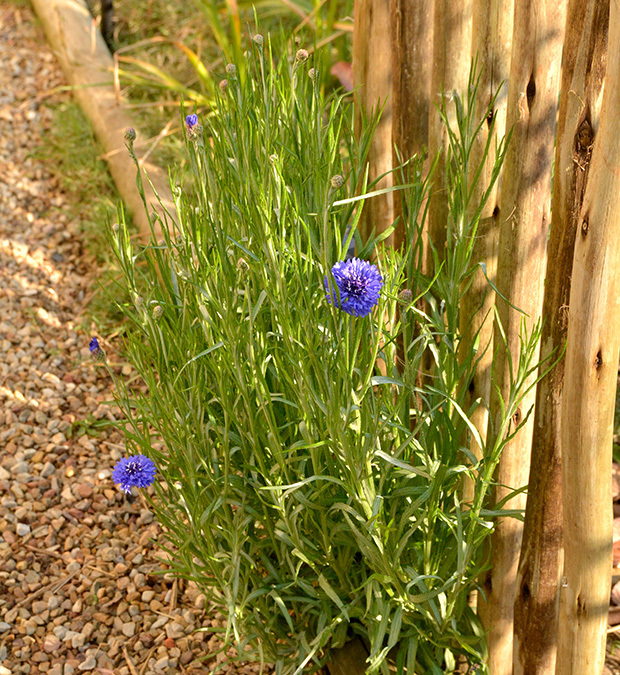 A wild bunch of corn flowers – self seeded. 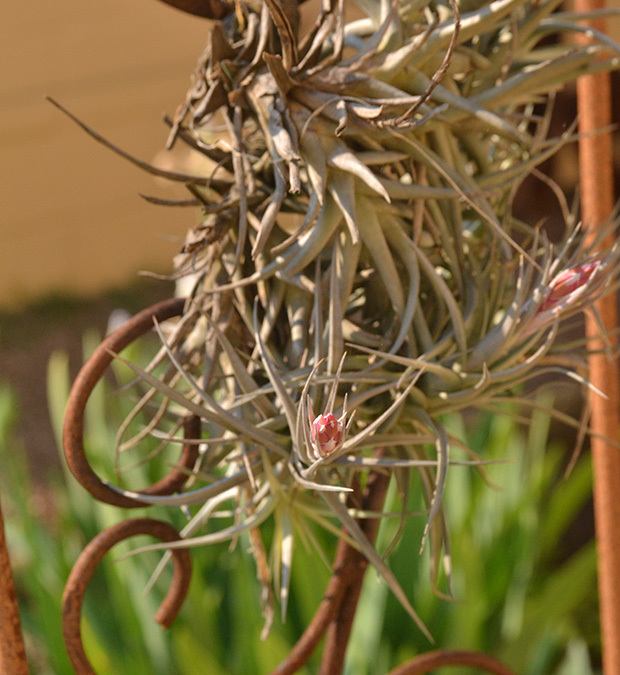 An unusual air plant – only blossoms this time of year! Found it at the back all dried out Now look. Just starting. 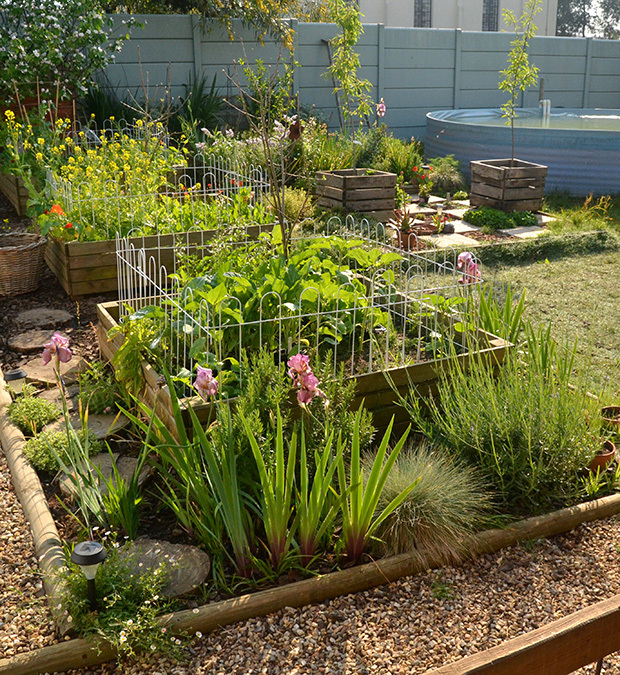 This raised bed is full of buds and seeds from last season – Ixias, Sparaxsis, Calendula, doing there own thing! Love their design! 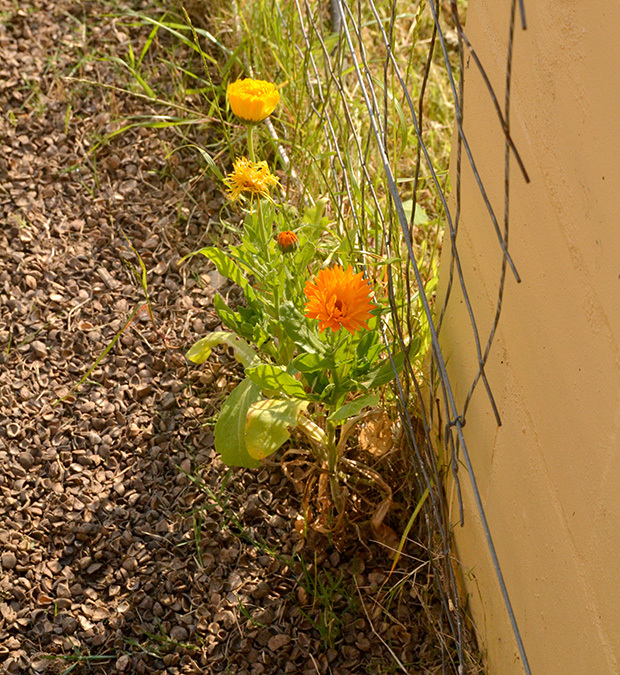 Some more self-seeded flowers – Calendula! They can grow everywhere in my garden because of there wonderful healing properties! I am making tinctures and oils this year! In the middle of making my own facial products. Will keep you posted! So very excited!! 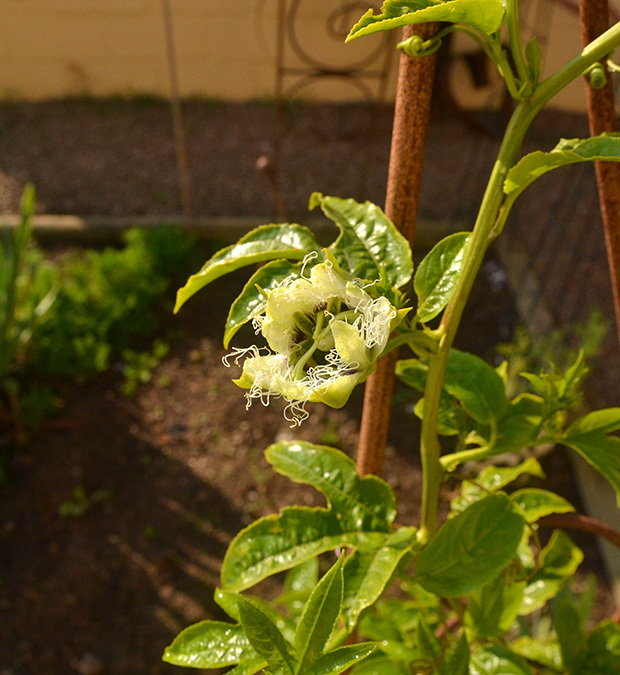 My very first passion flower – I missed the bloom! But I will get the next one! This grenadilla vine has been perking up now! I look forward to it climbing up this arch! The back garden is looking colourful with the irises in the foreground – the bright yellow flowers of the Chinese cabbage and the bright orange of the nasturtiums. The quince tree in the back is so pretty with all the blossoms! OK – my hubby needs to get cracking on the pool – needs a good clean and we will be ready for the warm weather! Just a bit of work in the garden still!! Join Carol and friends over at May Dreams Gardens to see what other gardeners around the world have blooming in October! And if you haven’t joined yet and have some blooms you’d like to show off, please join in the fun of showcasing your blooms! We’d love to see what YOU have blooming in your garden right now! Nasturtiums. They just went on my list! And I didn’t realize they could be used in salads, too. They just jumped to the top of the list! Your garden is looking beautiful. I would have never thought to stick an air plant outside – what a great idea!